Crimewatch 'Eye' works within the maps application and existing location technology within our phones to bring up to date and locate relevant crime alerts, based on your recent places. Alerts hold key information such as wanted faces and CCTV evidence which can be shared online, instantly spreading the local word onto a wider social scale. 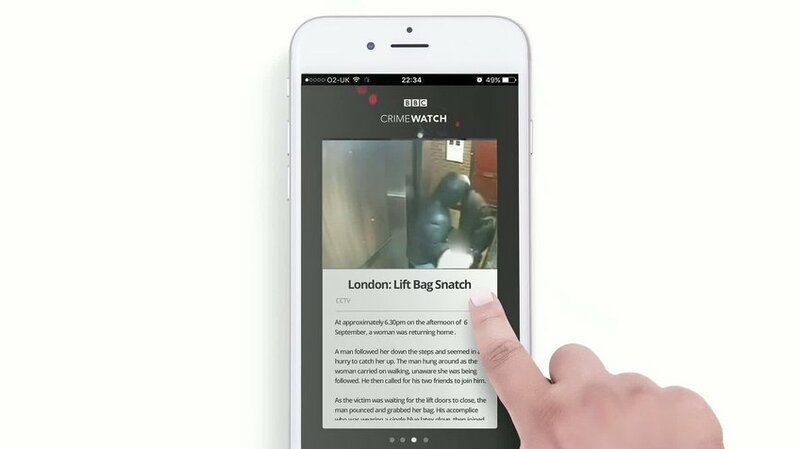 Using a simple text based system, information can be reported directly to the Crimewatch team with optional anonymity, for a fast, secure and discrete experience. The Crimewatch ‘Eye’ icon within the maps application allows users to view pins of crime locations anywhere on the map.